Before starting any new construction on a lot, the land may first need to be cleared well. There could be large boulders and rocks, brush and tall grass or some debris lying around that would need removing. You can hire our bobcat services for all these requirements. If you are installing a new landscape, one of the very first things that you need to do is get the land graded. The right grading helps ensure that the rainwater run-off from areas such as decks and patios as well as from stormwater drains and the rest of the landscape flows to the boundary of your property. 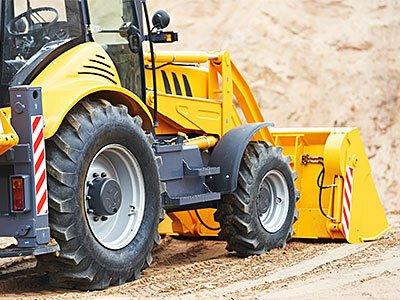 Many individual property owners, as well as contractors, hire our bobcat services for commercial and residential grading. We handle this job very efficiently and if you need any new plumbing and utility lines installed in the space, we can handle the yard trenching for you simultaneously. This is an integral part of most new construction & yard renovation projects. A bobcat will be required if you need to remove an existing driveway, patio, deck, pathways or even some outdoor feature like an outdoor kitchen, gazebo etc. Our bobcat operators use these heavy-duty machines to handle even the toughest jobs skillfully and expertly. We can also handle full-scale yard demolition if you are planning to revamp the space completely or need to make space for some new outdoor features. As a full-service landscaping company, we know what it takes to provide excellent custom bobcat services to our customers. We have a highly experienced team of bobcat operators that handle every project, big and small, in a professional, clean and affordable manner. We use advanced equipment in our work and this ensures the work is completed reliably, efficiently and in a timely manner. With the latest bobcat tractors and a range of specialized attachments and a backhoe/excavator, we can handle all types of trenching jobs. With heavy-duty bobcats, we can easily break and remove driveways, sidewalks, concrete patios, foundations, swimming pools as well. Our experts also handle limited access projects such as excavation of basements under existing structures. Many clients hire us when they are upgrading their yard, landscaped areas or plumbing lines etc. Regardless of the scale and complexity of the trenching, yard demolition or land clearing project, you can rest assured that we will provide prompt, reliable and professional services. As a fully-licensed and insured company, we make sure that all the work is carried out safely and to industry standards at very reasonable bobcat services cost. For any more information about our services, feel free to contact Gilgert’s Landscaping at 209-656-0431. You can send us your request via this Online Form as well.